De Lille lays criminal charges against four DA members - SABC News - Breaking news, special reports, world, business, sport coverage of all South African current events. Africa's news leader. Tags: Western Cape, Cape Town, Patricia De Lille, Mike Waters, Henk Hugo, Shehana Kajee, Bronwyn Engelbrecht. Former Cape Town Mayor Patricia De Lille says she is still on a mission to clear her name. Former Cape Town Mayor, Patricia De Lille has laid criminal charges against four Democratic Alliance (DA) members. She says they have tarnished her name and have spread defamatory information about her. 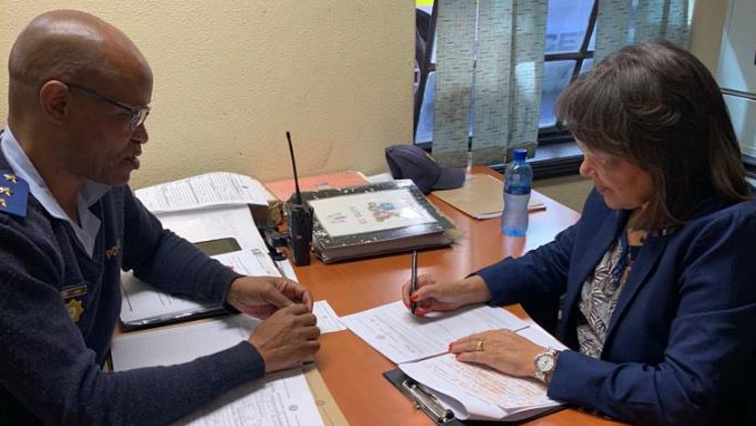 De Lille says the decision to lay criminal charges against some of her detractors is part of her mission to clear her name now that she no longer occupies public office and has resigned from the DA. De Lille has set her sights on four DA members: Mike Waters, Henk Hugo, Shehana Kajee and Bronwyn Engelbrecht. She has accused them of defaming her good name by allegedly reposting a fake Auditor-General’s report on social media. It implicates her in wrongdoing in the City of Cape Town that relates to the procurement of MyCity buses. The DA has declined to comment. Western Cape Cape Town Patricia De Lille Mike Waters Henk Hugo Shehana Kajee Bronwyn Engelbrecht. This entry was posted on 08 Nov 2018,05:35PM at 5:35 PM and is filed under Politics, Homepage Featured Story Slider. You can follow any responses to this entry through the RSS 2.0 feed. Both comments and pings are currently closed.